Wherever You Go, I Will Follow by Hiroki Innoue (credit). 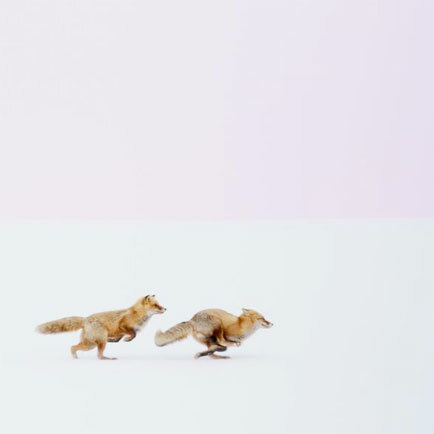 Recalling Archilochus' contention that "the fox knows many things, but the hedgehog knows one big thing," what does a leading fox or a following fox know differently? Provides an introduction to theories and practices for understanding and creating visual elements commonly used in written communication. Emphasizes the analysis and design of visual rhetoric for effective technical and professional communication.